So, you need to get your website ranked. Do you know what keyword research tips you’ll need to use? You can’t just start out blindly searching for keywords and expect your rankings to grow. Instead, work smarter (not harder) by using keyword research tips that are proven to be effective. Make keyword research an everyday thing, and watch your site traffic grow. No matter what tools you use, the same simple strategies will get you results across the board. It’s just a matter of knowing what to do. How can you use keyword research to rank your website? In this guide, we’ll break it down — read on for what you need to know. First, you need to start with at least one page to base your research on — maybe more. Create a spreadsheet to stay organized. On the left side, put the URL of the page. On the right, add the keyword or phrase. Of course, you’ll look at factors like competition and volume. However, don’t forget something important here: context. What context can you use to get visitors who are ready to convert on your page? It might be time to get specific — try using search terms that are used by people who are ready to buy. Some pages will be framed around an “awareness” or “consideration” context. However, you’ll get more conversions if you target for the “decision” context — that is, choosing keywords primed for customers who are ready to make a decision or purchase. Time constraints can make it difficult to target the right keywords. One of the most important keyword research tips is to eliminate the guesswork. Paying for Google AdWords can be well worth it to save you precious time and get you results that work. Start by getting a keyword overview of your general product or service, then find related keywords that have more meaning for Google’s users, or are more likely to get searched. AdWords allows you to test your picks and see how well they work, so you can narrow your focus accordingly. When you have categories on your site, users can more easily find the things they’re looking for. However, search engines don’t offer the same categorization features. What you need to do is use categorization of your page topics to your advantage. If you have a number of posts in a category, start using hub pages to boost your content’s rankings. Not only do hub pages allow you to use linking to its full advantage, but they also open up new opportunities for keyword research in a new direction. How can different categorization approaches change your keyword selection? Many businesses have a seasonal aspect. Are you using keywords effectively for your peak season? When search demand grows for your product or service, make sure you optimize accordingly. Long-tail, season-specific keywords can be perfectly relevant and competitive. What are your customers searching for in each season? Use your research to pinpoint that, and you can give them exactly what they want. This is one of the simplest keyword research tips. Keywords don’t need to be a complicated game. Creativity doesn’t really matter here – you really just need to target a trending topic, and do a good job of doing so. What topics are trending in your industry? Don’t reinvent the wheel – just find out what other people are already talking about. 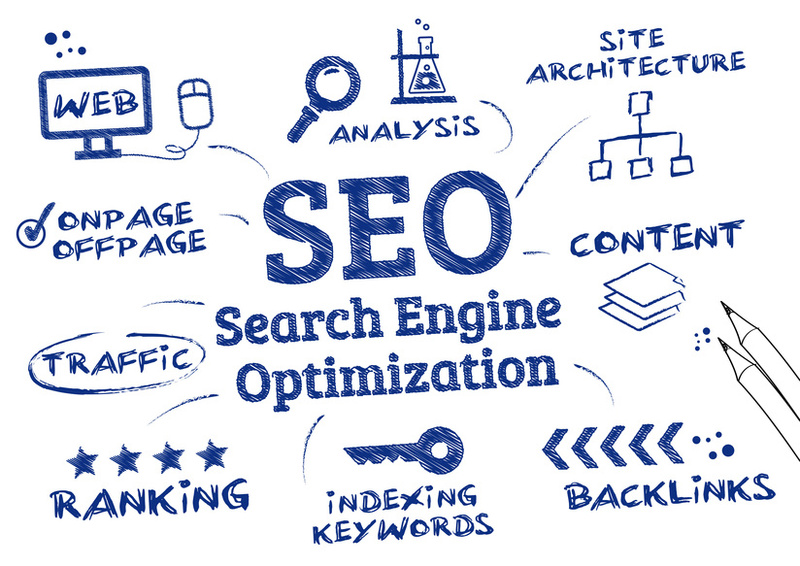 Time everything right, keep things fresh, and you’ll have a winning SEO keyword strategy. Timeliness is relevant here, too. Pay attention to upcoming industry events and breaking news that shapes the trends. Stay on top of things: in-the-moment relevance pays off. Don’t neglect the answers that you’ll find right in front of your face. People are already searching for things on your site, as long as you give them a search box (if you haven’t yet, you should). Don’t neglect this valuable source of data as you decide what keywords to target. When people conduct searches on your site, they’re telling you exactly what it is that they want. Use Google Analytics to see what people are searching for on site. You just need to enable the Site Search option, then look in the Behavior section. Can you brand a popular search phrase? If you have a unique term that you invented, or one that uses your brand name, be sure to optimize for it before the competition does. Instead of trying to rank for brand-related terms, you can target terms that will grow your brand – a smart way to work backwards. You can use Google Analytics here, too. Visit the Audience section and then find Interests. Below, look for the Affinity Categories. That’s where you’ll find the on-site behavior information that will help you target branded terms. Local search is crucial for small-to-medium businesses. The most basic, non-local search terms get dominated by big brands. However, local markets are less competitive, so you still stand a chance if you use good keyword research tips. All you need to do is add a location qualifier to those basic search terms that are already dominated. People often search by location anyway, so you’re meeting them where they already are. Good keyword strategies always involve balance. For example, you need to balance keyword relevance with volume. And you’ll also need to look at the competition – how many sites are already ranking for your keywords? Sometimes, when you balance all the different factors, the more difficult keywords will actually seem well worth targeting. If you’re struggling for ideas, one of the best keyword research tips is just to look at the competition. What are they doing, and how can you do it better? Work backward from their techniques, and revise them to be even more effective. What Are Your Favorite Keyword Research Tips? These are our top tips for keyword research, but we know there are more out there. Do you have a favorite tip that’s not on this list? Leave a comment and let us know!